A report assessing the competitiveness of Samoa’s economy is under the microscope during a two-day meeting in Apia this week. And in opening the validation workshop of the Diagnostic Trade Integrated Study Update at the T.A.T.T.E. Conference Centre yesterday, Prime Minister Tuilaepa Sa’ilele Malielegaoi said government’s focus is clear. He said he wants to increase exports, commercial investments and take advantage of opportunities offered through labour mobility. The initial report launched in 2010 identified sectors of export potential, outlined trade constraints and opportunities, and presented an Action Plan, which in turn provided the basis for Samoa’s Trade, Commerce and Manufacturing Sector Plan 2012-2016. This time, members of the private and public sector are gathering to update the progress of implementation and report on what has been done, and what remains to be actioned. Leading the work is KVA Consult Ltd who have been appointed to drive the update. So the participants are looking at how to further support the private sector, improve the production and exports, improve institutional capacity and strengthen Samoa’s participation in international trade. In addressing the participants yesterday, Prime Minister Tuilaepa said “Samoa’s economic sector has been one of the key priority areas in the Strategy for the Development” of the country over the past 10 years. The P.M. also pointed out that since the first part of the study, a number of achievements have been noted. With the help of KVA Consult, some of these projects involved the Samoa Trust Estates Corporation (S.T.E.C. ), Women in Business Development Inc (W.I.B.D.I.) and the Scientific Research Organisation of Samoa (S.R.O.S.). “The support was for instance given to Women in Business to enable the building process of a warehouse, to consolidate all the products which they are making and exporting overseas,” Nadia Meredith-Hunt, C.E.O. of KVA Consult told the Samoa Observer. “The support provided to S.T.E.C. included the supply of cocoa and coconut. But the government will not stop there. 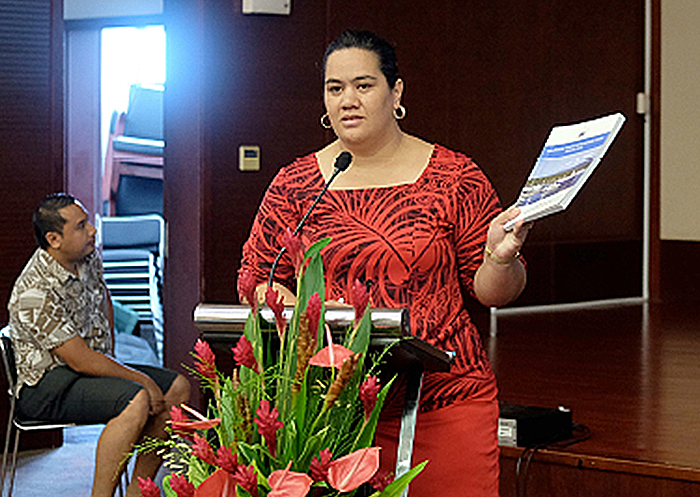 Tuilaepa said that such reports and updates are extremely important to provide a guideline for the work of the government and all the relevant stakeholders.